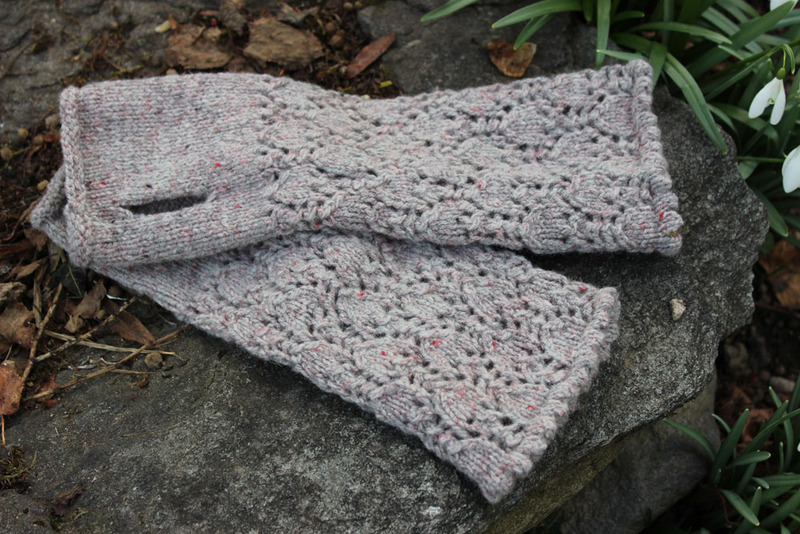 Narsissi is a lovely pair of delicate and feminine fingerless mittens that I imagined for a magazine. Sadly, they didn’t choose it. As it kept lingering in my mind, I decided to publish it on my own ! When I created this pattern, I wanted practical fingerless mitts, but very feminine nonetheless. that’s why, to accomodate a single stockinette hand, I decided to cover the forearm with a floral lace pattern and to add a picot edge for even more feminity !